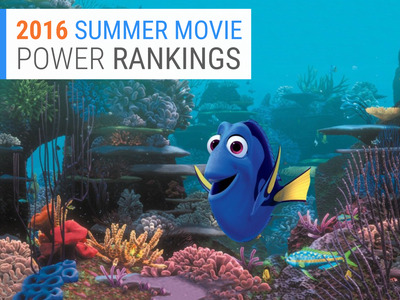 Things haven’t been so great at the summer box office since our last power ranking. “X-Men: Apocalypse” nosedived after its opening weekend and “Alice Through the Looking Glass” performed nowhere near the original movie. It’s time for sequels to have a comeback, and Hollywood is happy to see that a Pixar movie is on deck. 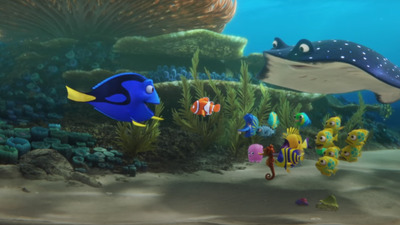 With “Finding Dory,” the sequel to the monster 2003 hit “Finding Nemo,” opening on Friday, we’re sure to see big box-office dollars, which we really haven’t seen since “Captain America: Civil War” opened in early May. 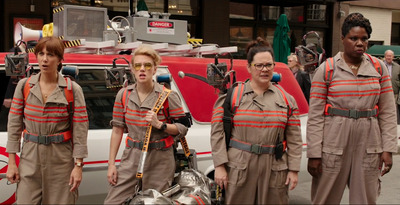 Here’s the latest ranking of the big Hollywood titles of the summer. Read all of our summer movie power rankings. In a year dominated by Disney titles, the house that Mickey built finally released a dud. The 'Alice in Wonderland' sequel has not found an audience, having only taken in just $62.5 million in the US. Though this movie just isn't as good as the original, it probably also got hurt at the box office by its star Johnny Depp being in the news for allegedly physically abusing his estranged wife, Amber Heard. With a respectable $79.8 million opening over Memorial Day weekend, things were looking good for the latest X-Men movie, but sadly things went south. The movie dropped 65% in earnings the second weekend, which inevitably makes a movie with around a $200 million budget a loser. So far comedies aren't doing so well this summer. 'Neighbours 2' went into its release with some encouraging reviews touting how it lives up to the original, but it looks like most folks won't see that until it gets to home video. The movie has only earned $53 million domestically so far. The original 'Neighbours' had already earned over $128 million by this time. This horror flick, which topped the US box office last weekend, makes an appearance on the ranking just as a reminder that summer movies don't always have to be CGI-filled and about superheroes to work. 'The Conjuring 2,' which pretty much made its $40 million budget back over the weekend, shows once more that horror movies are often cash cows. I think opening weekend still looks to be strong for the reboot. If anything, audiences have a 'see it for myself' mentality about it, and Sony is pulling out all the stops to promote it. 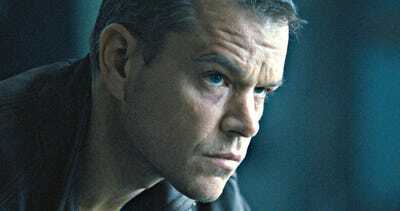 We're still feeling strong about 'Jason Bourne' being a hit this summer. It's probably one of the few movies the over-25 crowd will go see opening weekend. And with Matt Damon back in the franchise, and looking great in the trailers, this looks like a white knight for summer movies. We're convinced 'Suicide Squad' is going to, at least, interest people to go see it opening weekend. Reviews and word of mouth will show if it will do major numbers beyond that. But the anticipation is there. Leaving a screening recently at a theatre in Times Square, I saw a line almost half a block long and learned it was for an early screening of 'Suicide Squad.' People want to see this movie. A big question for this sequel that's 20 years in the making is if audiences are still excited about the original alien-invasion movie. If it turns out that it just goes through the motions of the original, it will have a very disappointing run. But hopefully it doesn't fall into that trap. And never underestimate the box-office allure of aliens and major cities falling apart. 'Finding Dory' likely won't have the same magic for audiences as 'Finding Nemo,' but the movie is still a strong Pixar tale that will earn a ton of money its opening weekend. Can it compete with 'Civil War' at the box office? It's tough to say. Reviews are not overwhelmingly positive, but many want to see it. It will come down to how many times kids will want to return to the theatre to catch it again. This should really come as no surprise. Having now earned over $1.1 billion worldwide at the box office, 'Civil War' epitomizes everything that's great about the Marvel movies and what works in a sequel. Can any movie this summer match its success?